The much mentioned wedding (on here anyway, I’m not saying its legendary across all the land or anything*) took place in June this year. My lovely mother in law hung my bridal bouquet up to dry out whilst me and my new husb went on a lovely 3 week honeymoon in Bali. Mmmmm Bali. 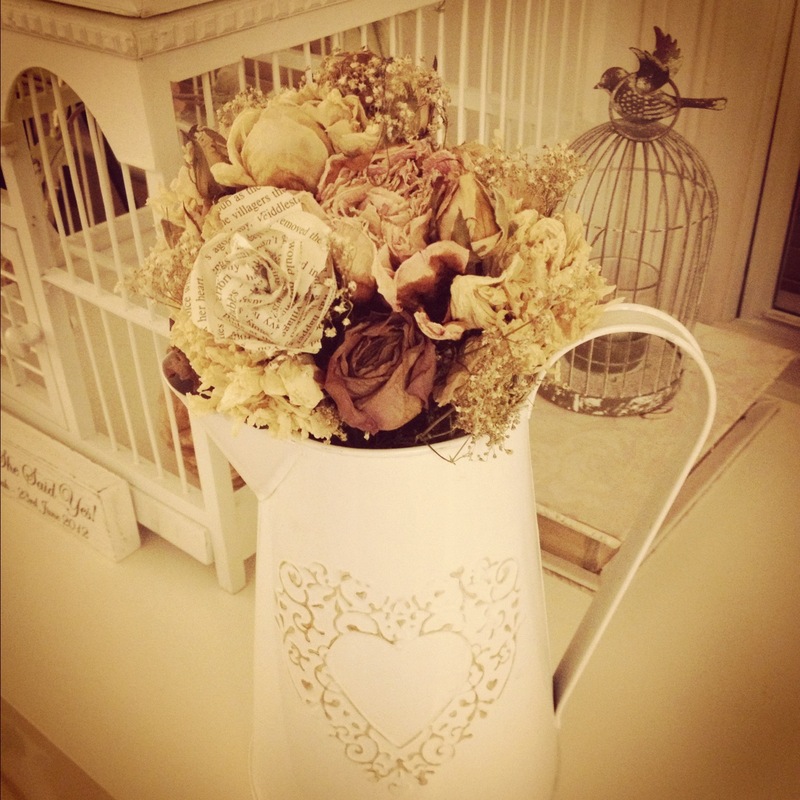 Anyway, my bouquet is now sitting pretty in a lovely ivory jug**. After reading The Art of Handmade Living by Willow Crossley (review here) I fell in love with bell jars and all the lovely things you can display in them. Then I saw the bottom left pic below and it got me thinking about other ways to show off your beautiful bouquet. If it were my time again I’d definitely research the options before the big day (don’t worry, I’m not pining for wedding number two!). If you are yet to say ‘I do’, bear in mind that there are different drying techniques which all give different effects. *It might be. Just saying. The vodka luge may have helped. **My jug was a bargain from The Range. If you’ve never been there you’ll love this amazing homeware and craft centre! 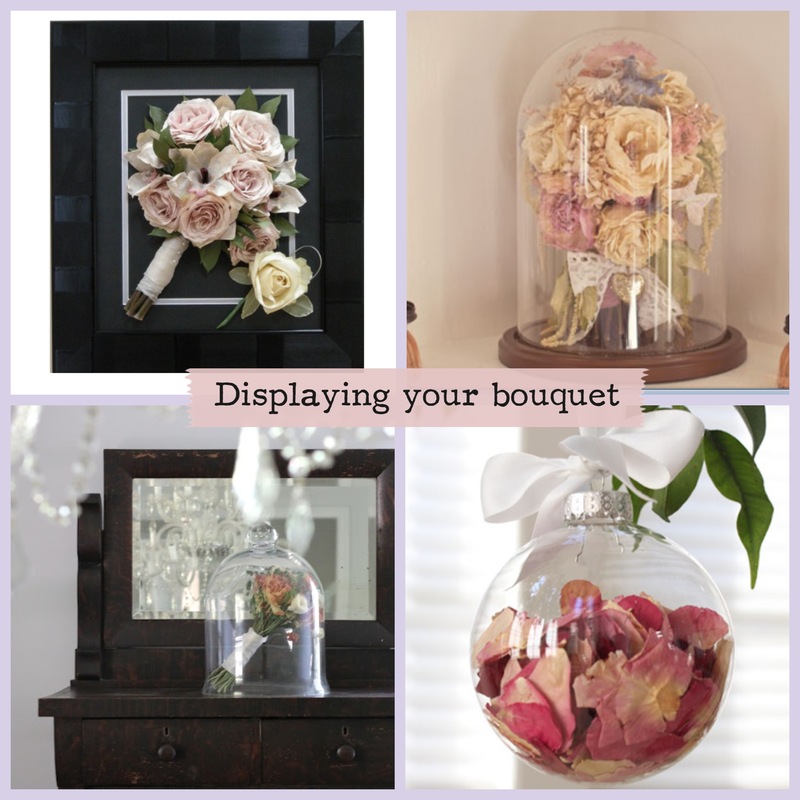 Beautiful ways to keep and display a bouquet. I wish I had dried mine out properly now. Me too! It’s amazing what they can do nowdays.